﻿﻿The primary benefit of Data Trustee is clear: saving you and your staff time every ﻿﻿﻿single ﻿﻿﻿quarter. ﻿ But that is far from the only advantage of using Data Trustee. Read on to learn more about how Data Trustee can add value to your organization. Reporting requirements will never be a factor in negotiating grants and investments again. Once you subscribe to Data Trustee, reporting requirements are no longer your concern. That frees you to focus solely on what's important in funding negotiations, like rate, term, and restrictions. Increase the efficiency and accuracy of the quarter close. When your accounting staff is juggling closing the books with preparing investor-ready reports, mistakes can happen. By taking the number crunching and report formatting off of their hands, you are likely to see fewer mistakes and a faster quarter close--not to mention happier employees. Catch mistakes in your internal data to boost its reliability and usefulness. Each reporting period Data Trustee records any errors or irregularities in the data we received from you in a data scrub report. We work with you to ensure any issues are corrected so that your data is as complete and accurate as possible. Monitor data submission and report creation online. A password-protected webpage allows you to monitor when your staff submits data and when your reports will be ready, providing transparency and accountability. The webpage also provides easy access to past data scrub reports and other information about your Data Trustee subscription. Receive a discount on other High Impact services in your first year as a Data Trustee subscriber. 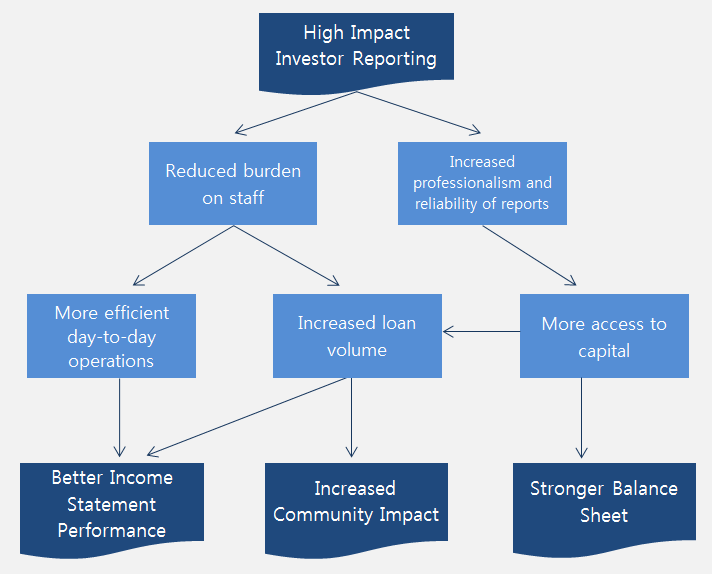 Data Trustee is just one of many CDFI-focused services provided by High Impact. New High Impact clients will receive a 20% discount on any other High Impact service during their first year as a Data Trustee subscriber (subject to maximum total discounts of $1,000). ﻿﻿﻿﻿Ready to get started with Data Trustee? Email us at﻿﻿﻿﻿ datatrustee@highimpactanalysis.com.